Product line specially developed to be fitted on high powered tractors with a high load capacity requirement able to transfer to the ground high torque. Due to its dimensional characteristics and its optimized radial structure, it is able to transfer to the ground the high torque of the biggest agricultural vehicles, generating a great traction on all kind of soils. Ploughing tests show that Trelleborg tires, in equal conditions and sizes, perform better than competitors both in terms of slippage and working time per hectare. 70/65/50/40/30= On road transport at 70/65/50/40/30 Km/h. For intensive road transport at 40, 50, 65 and 70 Km/h the pressure should be increased by 0,4 bar. 10 LT= Maximum Speed 10 Km/h. Surface treatment with low torque value. 10 HT= Maximum Speed 10 Km/h. Field application with high torque value. H (*)= Maximum speed 10 Km/h. Harvesting machines in cyclic loading service and farm to field transit. 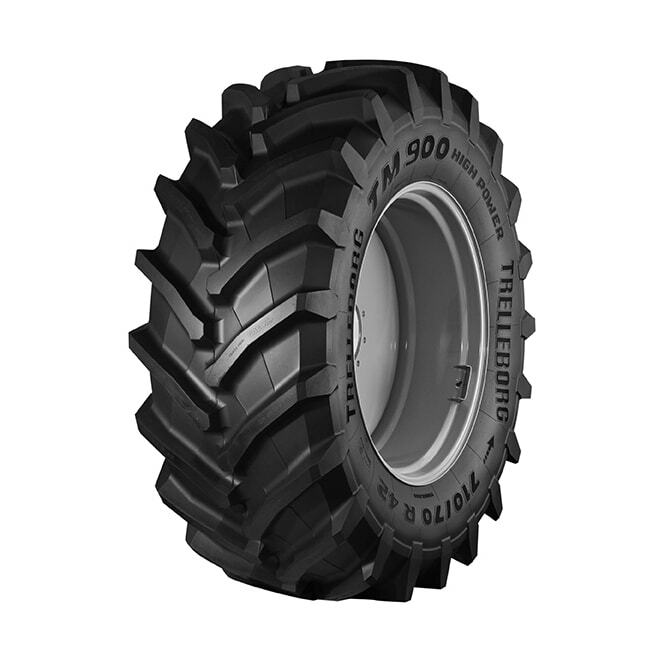 SRI= Speed Radius Index - value to be used for calculation of the theoretical tractor speed during European Union homologation and for the interchangeability of different tyre sizes. For dual mounting use the pressure correspondent to the load per each wheel divided by 0.88. IMPORTANT: The inflation pressure is established considering the application and the load for each tyre.